Can You Travel to British Columbia from Washington State with a DUI? If you live in Seattle, Spokane, Tacoma, Vancouver WA, Bellevue, Everett, or any other city in Washington State, chances are you have either visited Canada before or are considering going to the country at some point in the future. British Columbia is a beautiful province that makes for a great tourist destination, and being situated right next door to Washington State it is also an extremely convenient destination for WA residents to visit. Vancouver BC is one of the most scenic cities on earth, Whistler BC has some of the best skiing, snowboarding, and snowmobiling around, and the BC interior has exceptional hiking, hunting, and fishing. Whether you are traveling by ferry to Victoria BC for leisure, or by car to Vancouver BC for work, if you have a DUI conviction on your criminal record you may be inadmissible to Canada and could be refused entry at the border. The Canadian border can access the criminal record of every American, and even a first-time DUI plead down to a lesser charge such as reckless driving can result in a person being denied entry by border authorities. It does not matter if you drive to Canada and cross one of the popular Washington State-British Columbia land borders such as Peace Arch, Blaine-Surrey, Lynden-Aldergrove, or Sumas-Huntingdon, or fly into Vancouver International Airport; if you have a drunk driving record you may need special permission from the Government of Canada in order to be permitted entry. This official permission comes in the form of a Temporary Resident Permit (TRP), which is a document that allows a non-admissible foreign national to enter Canada for a fixed amount of time. 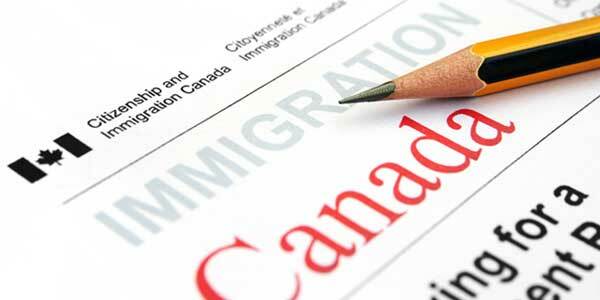 Temporary Resident Permits can be issued for as long as three years, and there is also a permanent solution called Criminal Rehabilitation that can enable someone to overcome criminal inadmissibility for life. Over the years, The Seattle Times has published numerous news stories about US residents being denied entry to Canada while on an Alaskan cruise ship anchored in Vancouver Island. Even the National Geographic Channel's television show "Border Security: Canada's Front Line" had an episode in which US residents sailing from the Puget Sound region of Washington State through Canadian waters on their way to Anchorage Alaska were stopped by Canadian border security on a boat and sent back home because of criminal ineligibility. Canada takes drinking and driving offenses very seriously, and without a Temporary Resident Permit or Canadian Rehabilitation crossing the border with a DUI can lead to problems. A WA DUI can cause issues at the Canadian border if it is not properly overcome, so if you have any Washington State alcohol-related driving violations in your past it is always smart to confirm admissibility before your date of travel. Other types of criminality such as drug possession, assault, fraud, and domestic violence can also result in a Washington State resident being refused entry to British Columbia. If you reside in Washington State and are interested in going to British Columbia but have a DUI/DWI arrest or conviction on your record, phone us today for a free consultation! As of December 2018, a DUI is considered a serious crime in Canada and offenders can end up locked away for up to a decade. This means any American with an old DUI in Washington State could be turned back by border agents since impaired driving offenses are now too serious to qualify for automatic Rehabilitation after ten years. If all sentencing (including probation which can be several years for a Washington DUI) was completed at least ten years before Canada updated their intoxicated driving laws, it might be possible to cross the border due to grandfathering of "deemed rehabilitated" status but a Canadian immigration attorney should always be consulted before attempting to travel. In Washington State, the statute governing driving under the influence is RCW 46.61.502. If an individual has no prior offenses in the past seven years, a Washington DUI could lead to a fine of $350 to $5000, a 90 day driver's license suspension, an Ignition Interlock Device in their vehicle, a 24 hour jail sentence all the way up to one year behind bars, as well as potential alcohol or drug treatment assigned by the court. Sentencing can increase if the individual has one or more prior offenses in the last seven years, or had a BAC of 0.15 or higher.